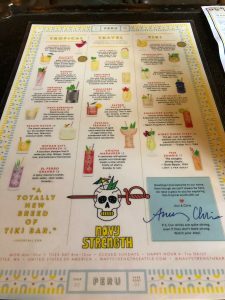 A funky Seattle bar offering tropical drinks with a classical tiki flare and modern tiki explorations. I love when I get to do 2 things I like at the same time. I whiskeys and bourbon. The taste, the warm hug, the feel, everything about it. 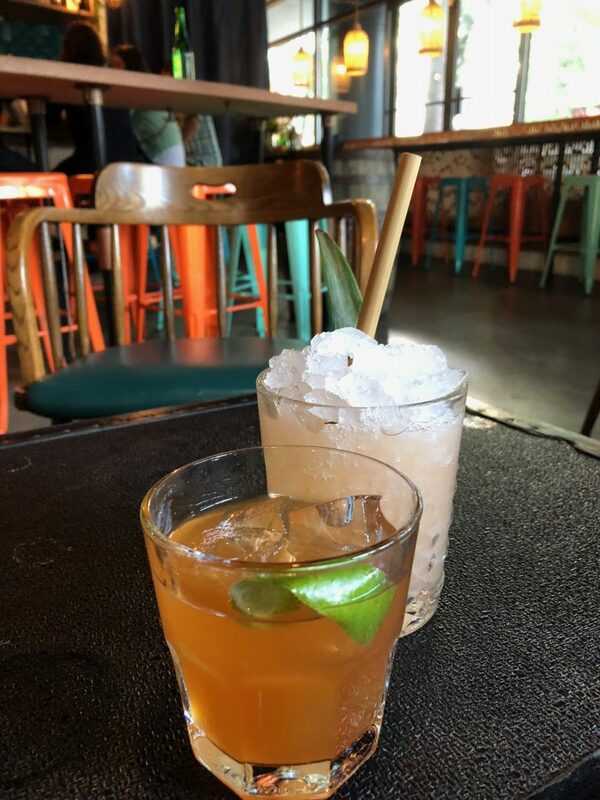 I also love the laid back tiki culture with it’s sweet drinks that are great for daytime pleasure. These 2 worlds don’t normally merge together but here, at Navy Strength in Seattle, they do. Along with the typical tiki rum drinks, Navy Strength also offers up several whiskey tiki cocktails that were awesome! Navy Strength Cocktail: A mysteriously silky Old Fashioned with Bourbon, cognac, rum, roasted tropical fruit and bitters. Butuan City Soundrack: a bourbon slowjam that’ll make you sing. Mango, toasted rice and kalamansi harmonize. Bellyflop Slushie: Maker’s Mark slushie with tropical fruit, spicy ginger and fresh lemon. Toasted Coconut Old Fashioned: bourbon, toasty coconut sizz, bitters and lime oil. A great pre or post dinner spot for a tiki cocktail. A great pre or post dinner spot for a tiki cocktail. The place is cute but not everything you expect from a tiki bar. Bright lights, airy room, etc… When drinking tiki, I like a dark, kitschy location with lots of tikis and tiki glasses.